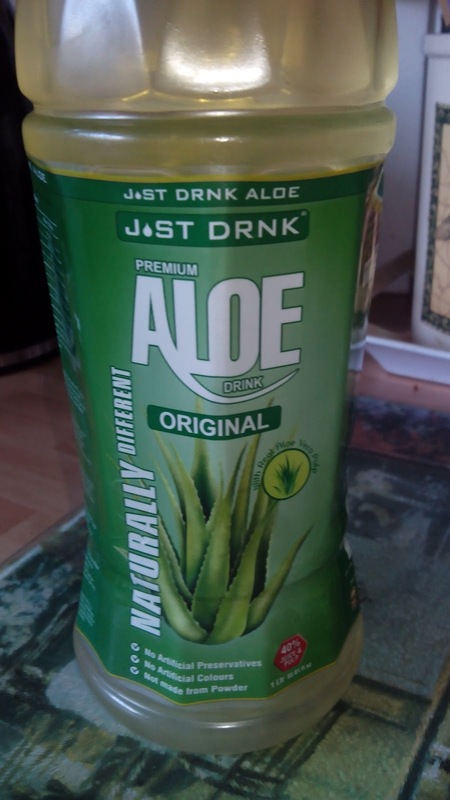 So, this review was a quick plan, with drinking this a few weeks ago with Pete, i decided to get a bottled reviewed to show you guys and ladies the taste and well, this was £1 from Poundland. But thee one me and pete drank was the half size bottle which was 2 for £. 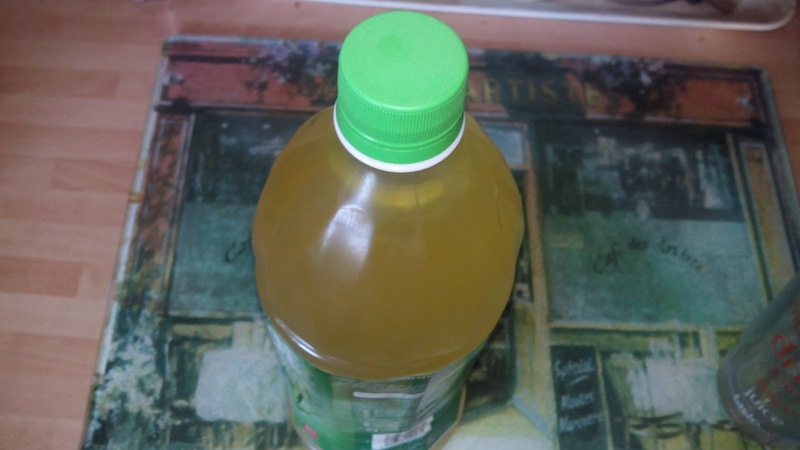 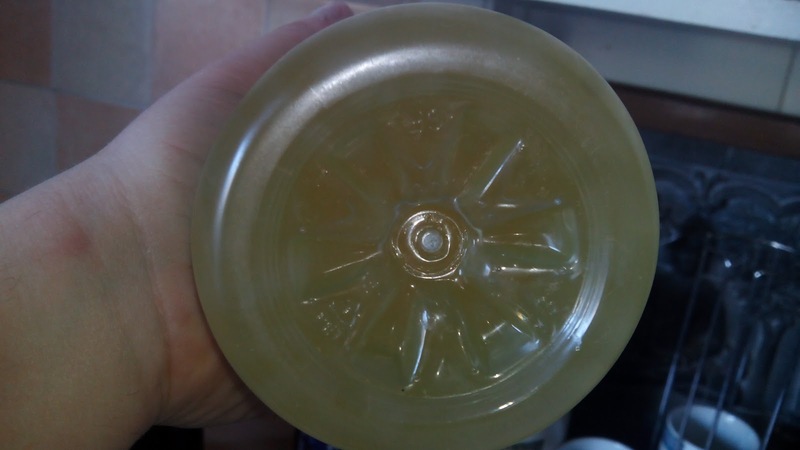 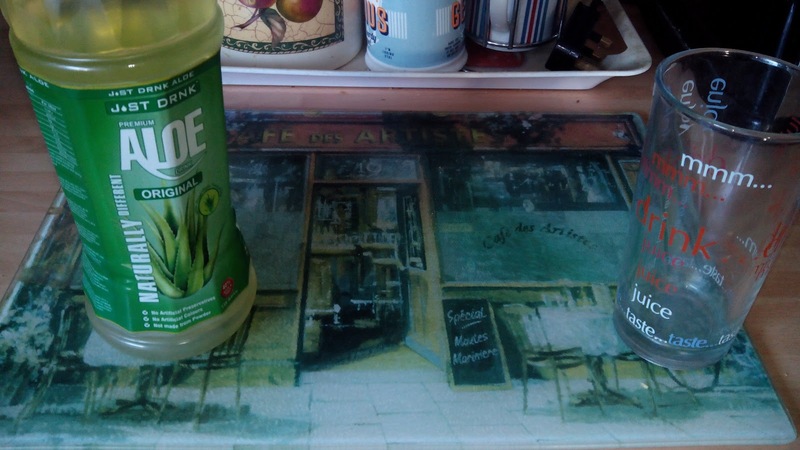 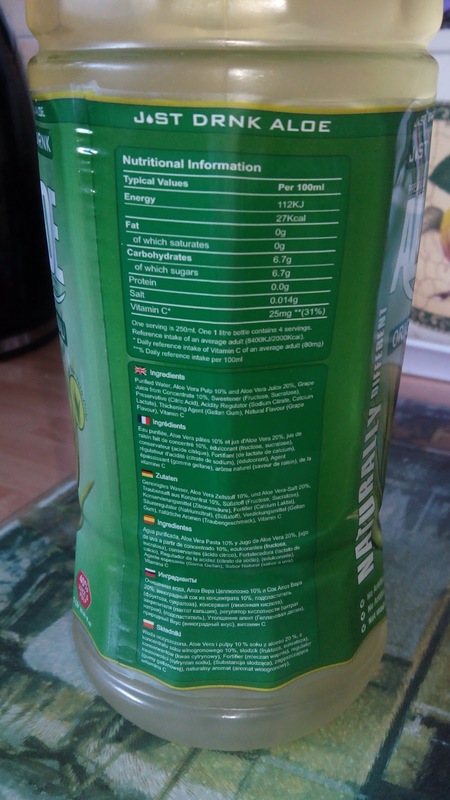 the bottle is in a nice clear style 1L with green and white styles, with the front and back the same and the left with ingredients and nutrition and the other with barcodes and product info like who made it and social media links. 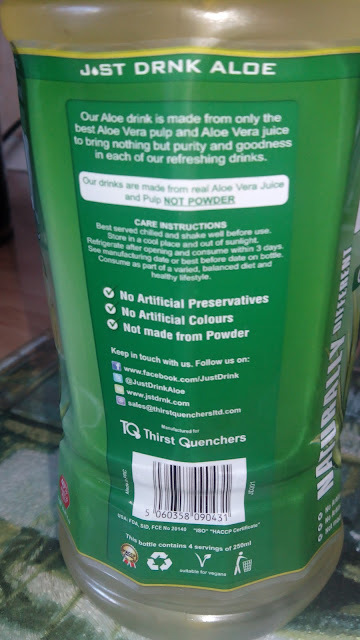 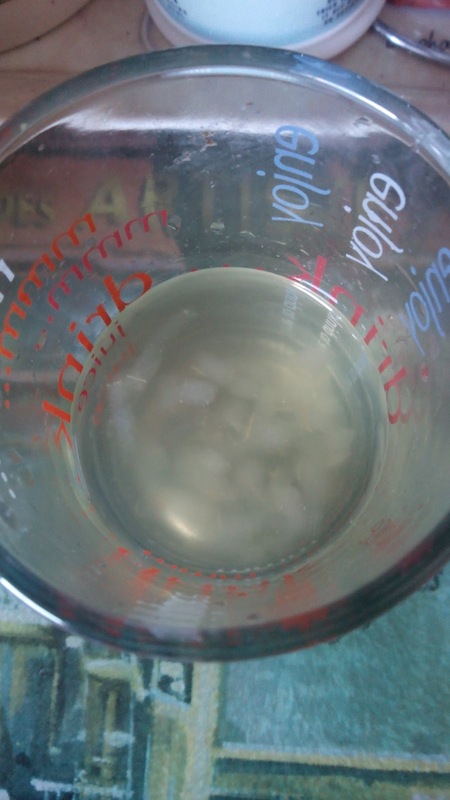 The drink is quite a light grape colour, with some gel inside, i'm interested about that but it has that smell of Washing powder as well as the typical aloe vera smell. 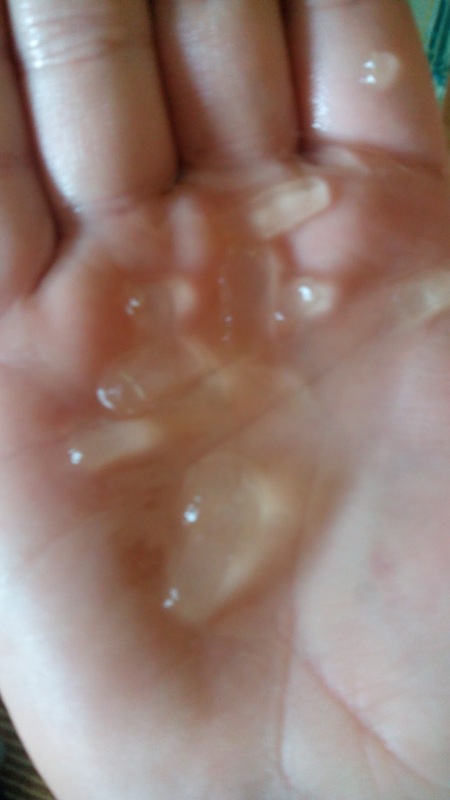 But it was clear to see the pellets as well.